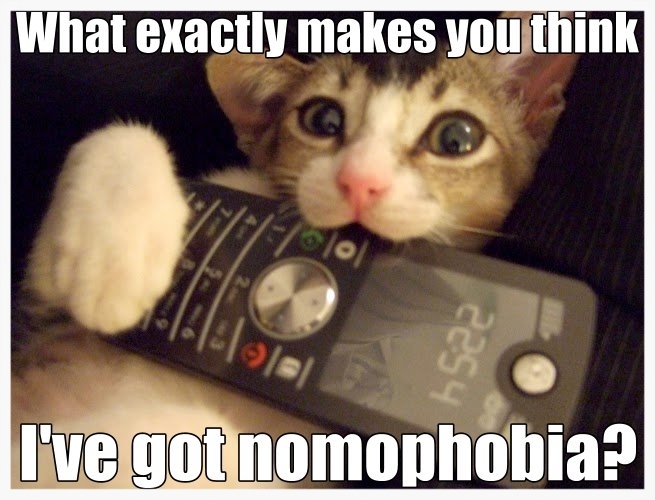 - "Cuz, I think I've got severe nomophobia!!" - "Ha, told you, freak"
Thus started the recent conversation between myself my cousin, Patrick. He had been insisting to me for years that nomophobia was a 'thing' and it existed, which usually got a derisory retort from me ("Phoney, modern crap" to be precise). Keep your thieving hands away from my mobile! All dressed up but nohow to call? Sure, sure, we know you don't fear your phone. You're totally normal. You control your phone, not the other way round. Rrrrriiiiiiigghhht!!! Help is at hand: click the button below! Muuwhahaha!!!! ** Nomophobia tests developed by top scientists from the University of Sub-Saharan Antartica*** exclusively for nomophobia.com.